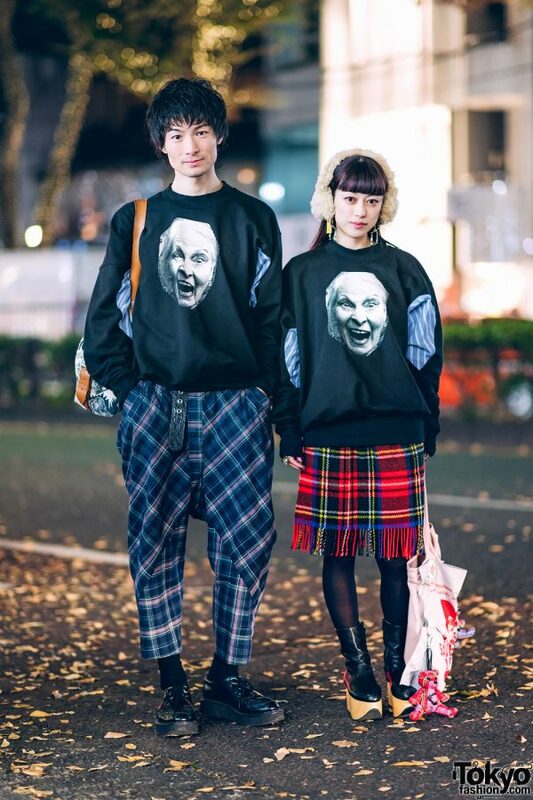 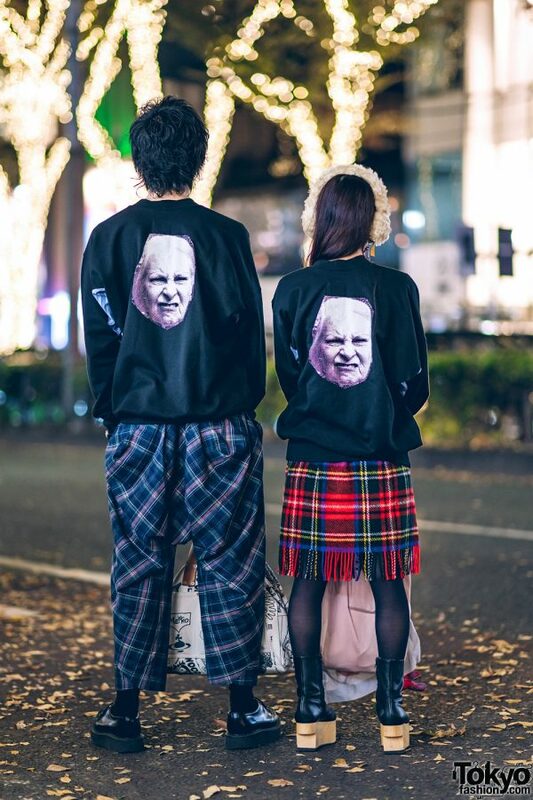 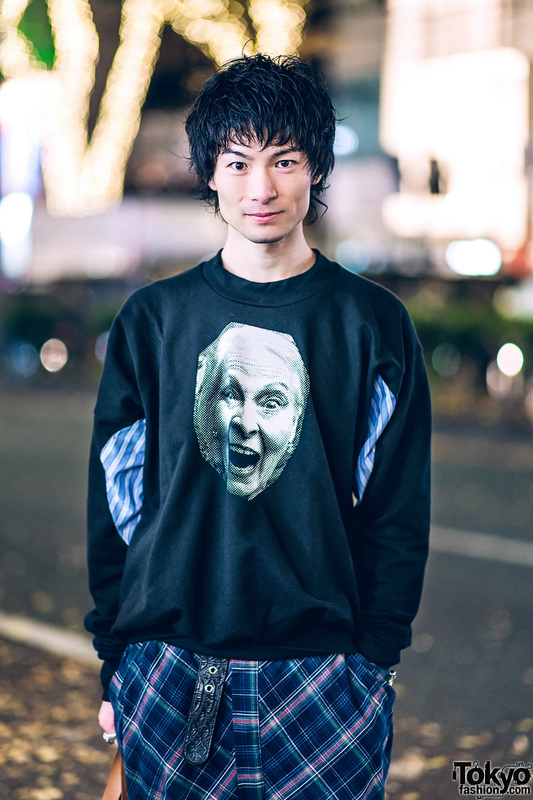 While walking along the streets of Harajuku one fine evening, we came upon Kazuki and Saki, a Japanese couple whose flair for Vivienne Westwood’s iconic designs make them a well known streetwear duo. 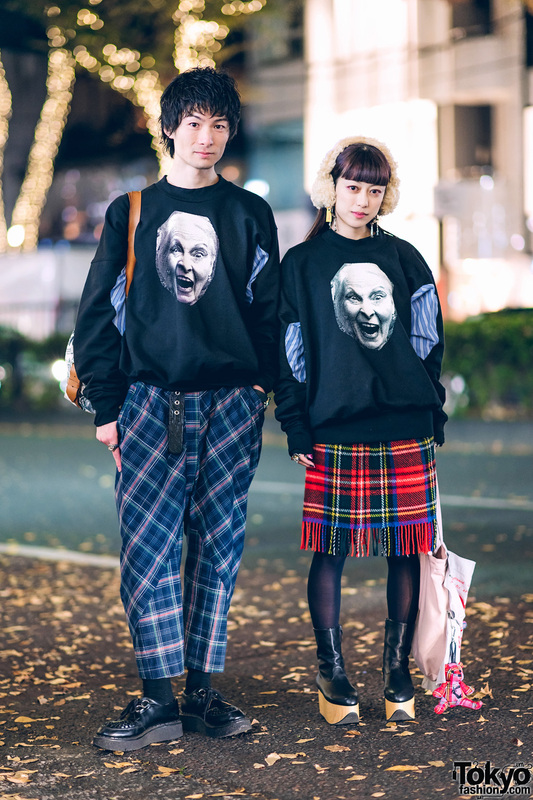 At the left we have Kazuki, whose ensemble consists of a black face print sweater with striped details from Vivienne Westwood World’s End, styled with Vivienne Westwood drop crotch plaid pants with asymmetrical panels. 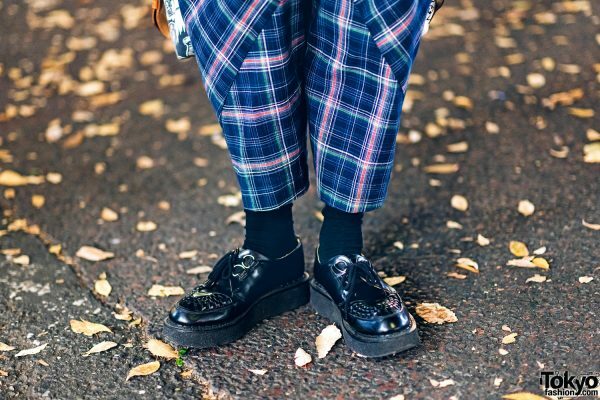 Black socks, black leather lace-up creepers from George Cox, a Vivienne Westwood white comic print bag with brown leather straps and accents, and accessories – also from Vivienne Westwood – such as a black leather belt, a watch, and silver knuckle rings rounded out Kazuki’s style. 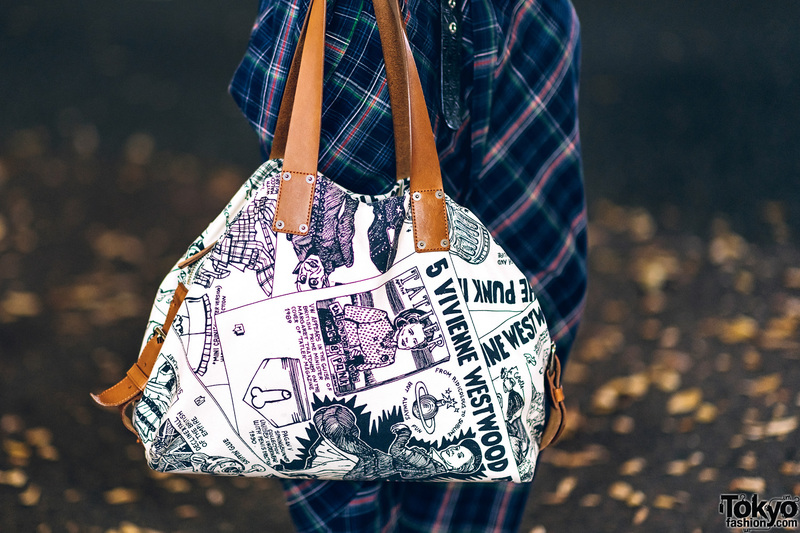 Vivienne Westwood World’s End is Kazuki’s fashion favorite, and he is active on Instagram. Meanwhile, Saki – who works as a seamstress – is also clad in a matching Vivienne Westwood World’s End face print sweater. 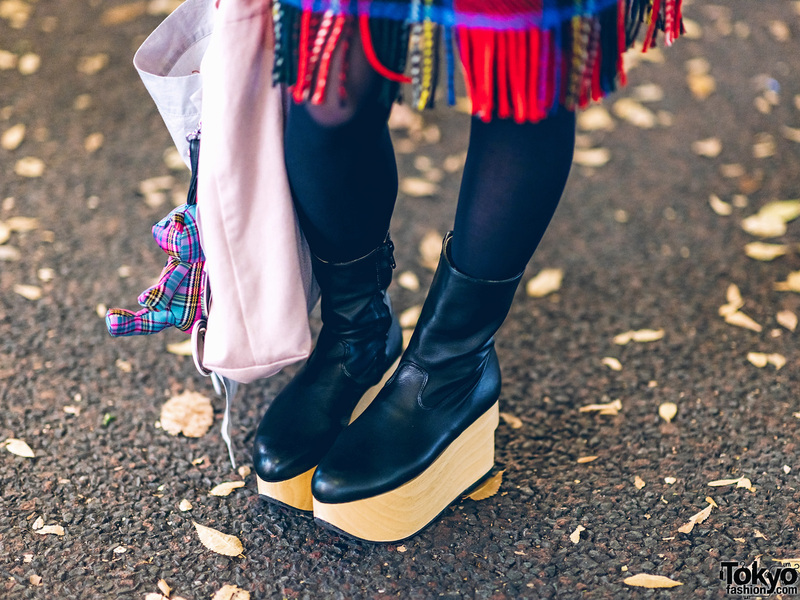 She styled her sweater with a Vivienne Westwood plaid skirt with a fringed hem, black opaque tights, and slipped into a pair of Vivienne Westwood rocking horse boots. 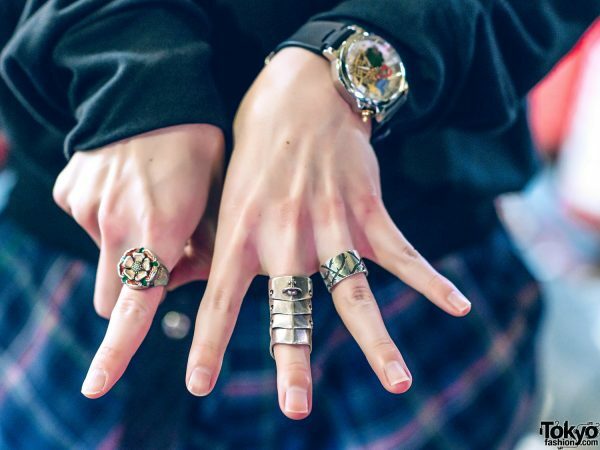 Her accessories – from Vivienne Westwood – include skeleton earrings and multiple knuckle rings. 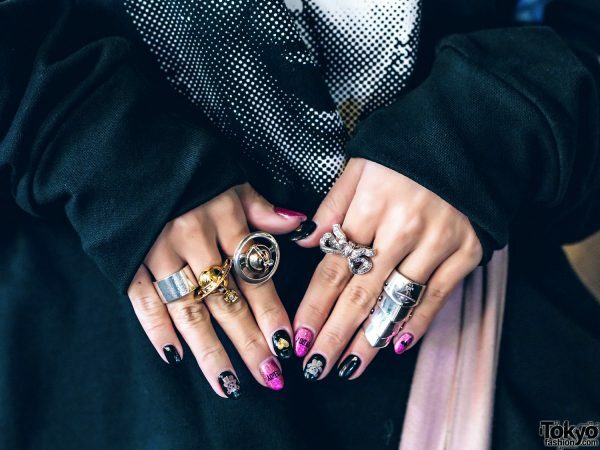 Pink-and-black nail art, Steiff teddy bear mohair headphones, and a Vivienne Westwood tote bag completed her look. 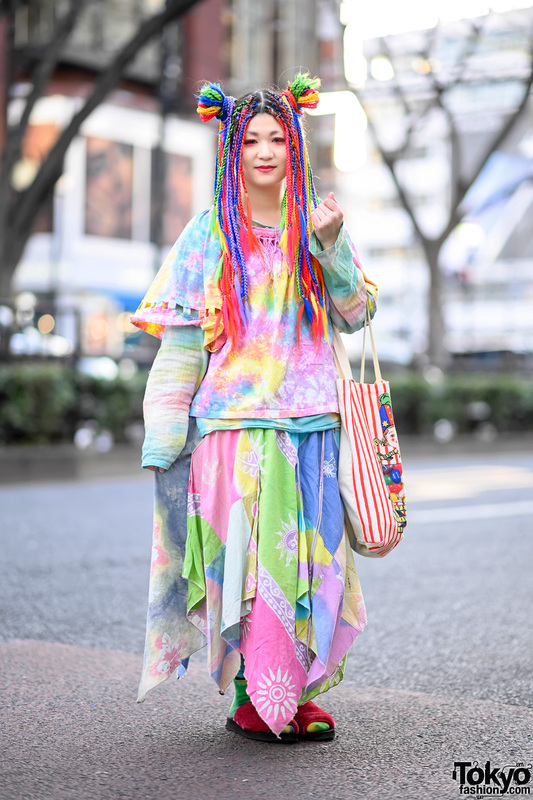 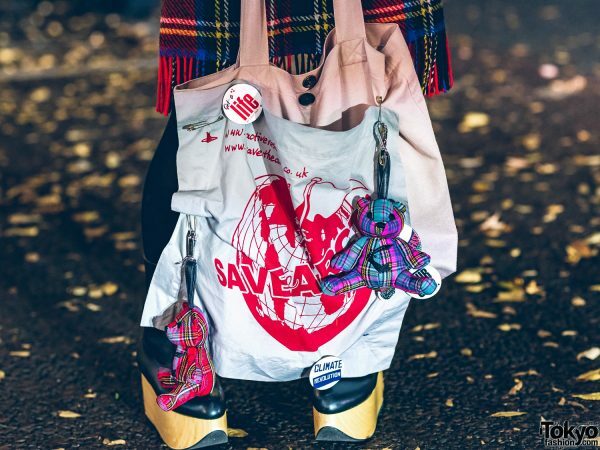 Saki loves to shop at Vivienne Westwood, and she is also active on Instagram.